Lower Craglorn is the area containing the two regions that make up southern Craglorn. The main settlement in Lower Craglorn is Belkarth, which sits on the border between the western and eastern regions. 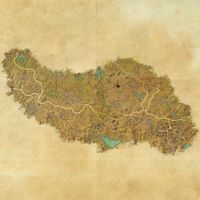 The city of Elinhir is located in the southeast, and the prestigious Rahni'Za, School of Blades is located in the southwest. The Belkarth Region in the west is covered in Yokudan ruins and is currently under the influence of the Celestial Warrior and the Anka-Ra. The Celestial Mage has taken up residence in the Elinhir Region in the east, which is filled with many Ayleid ruins and is occupied by atronachs and spellfiends. Upper Craglorn lies to the north, and access to this region has been restored following the clearing of a landslide in the northwest, and the sundering of a barricade of Iron Orcs in the northeast. 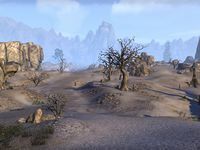 The names of the western subzone and eastern subzone, Belkarth Region and Elinhir Region respectively, were clarified on ESO Live and do not appear in-game. ​ Celestial Investigator 50 Discover why the Celestials have appeared in Craglorn. This page was last modified on 7 August 2018, at 02:45.